Water asset management can be a lofty enterprise, particularly if you’re one of the largest utilities in the United States. 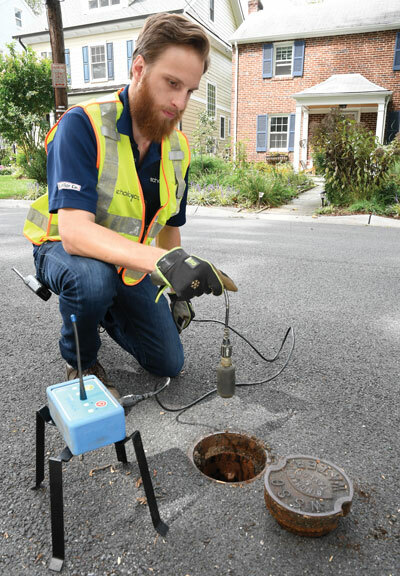 The Washington Suburban Sanitary Commission (WSSC), established in 1918, covers nearly 1,000 sq-miles in Prince George’s and Montgomery counties in Maryland and serves 1.8 million residents through approximately 475,000 customer accounts. It operates three reservoirs that combine for a typical total holding capacity of 14 billion gallons; two water filtration plants with the capacity to produce 390 million gallons per day (mgd) of safe drinking water; and six wastewater treatment plants with a total capacity to handle 95.6 mgd of wastewater. A non-intrusive, non-disruptive technology, Echologics’ ePulse technology assesses pipelines through the use of acoustic sensors. It collects data that, when averaged, indicates minimum wall thickness of pipe segments and checks for leaks throughout the water distribution system. 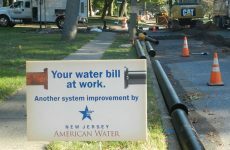 In order to stay on course and maintain its level of service despite the aging infrastructure, the WSSC develops asset management plans of all water system elements that it owns and operates, from the buried pipes and sewer systems to the vertical (aboveground) dams, plants and buildings where employees work. Traditional methods of identifying pipe for replacement include examining records of past breaks, reported leaks and water quality complaints from customers. The WSSC currently relies on the decay model for asset management, which forecasts pipe conditions out to 30 years based on mathematical decay curves computed from variables such as asset type, maintenance and break history, construction year and fire flow results. Condition ratings are also assigned based on the pipe’s age, material, installation, work order history and inspection history. The calculated probability of failure, combined with the potential consequences of such a failure, is used to prioritize pipes for replacement. 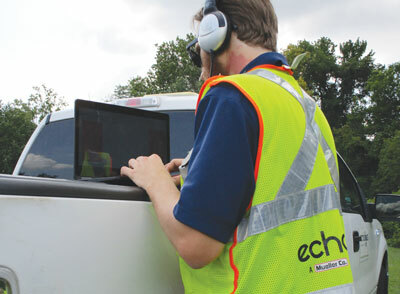 In 2011, the WSSC was introduced to acoustic-based technologies from Echologics that could non-invasively detect leaks and inspect pipe conditions. A non-intrusive, non-disruptive technology, Echologics’ ePulse technology assesses water mains through the use of acoustic sensors. It collects data that, when averaged, indicates minimum wall thickness of pipe segments and checks for leaks throughout the water distribution system. To determine the viability of the condition assessment technology, the WSSC decided to launch a pilot study of pipe sections it had already earmarked for replacement. The pilot study conducted with Echologics focused on 32 cast iron pipeline segments at varying lengths, with an average of 200 ft each, all of which were already scheduled for replacement based on previous decay model predictions. Echologics was tasked with providing the remaining wall thickness using its acoustic-based technology, while the WSSC would be interpreting the pipe’s remaining life. At the request of the WSSC, Echologics also custom-engineered a scoring system that relates the pipe’s current progress from new pipe condition (1.0) to reaching its failure thickness (5.0) to conform to WSSC’s scoring system for all assets. The pilot’s acoustic tests were conducted during construction in spring 2012 and showed that approximately 70 percent of the cast iron pipes still had sufficient levels of remaining wall thickness and thus were not in need of replacement; almost 40 percent of the segments were indicated to be at or near their original condition. To validate these results, the WSSC performed visual and ultrasonic testing at several sites to measure the thickness of the pipe. Soil samples and pipe coupons were also obtained for testing. It was found that while the field measurements correlated with the acoustic measurements taken by Echologics, neither matched up with the original asset management decay model. The pilot’s acoustic tests showed that approximately 70 percent of the cast iron pipes still had sufficient levels of remaining wall thickness and thus were not in need of replacement; almost 40 percent of the segments were indicated to be at or near their original condition. Part of a much larger vision the utility is putting together, condition assessment is now a valuable tool for the WSSC in finding out what’s going on in the pipe you can’t see. At the WSSC, future water main replacement projects are selected based on different “levels” of inspection. The first level — the asset management decay model — is able to study 100 percent of the assets the utility owns but ultimately needs to be verified since it is purely hypothetical and is the least reliable method within the WSSC’s toolbox. Acoustic-based condition assessment now brings the utility to more easily inspect at the second level. Since it is costlier and logistically difficult to physically dig up all pipes for inspection (considered the highest level of the inspection program), the utility utilizes condition assessment to corroborate findings amongst its inspection protocols. Complicating this is the variation in pipes and pipe repair procedures over the years. 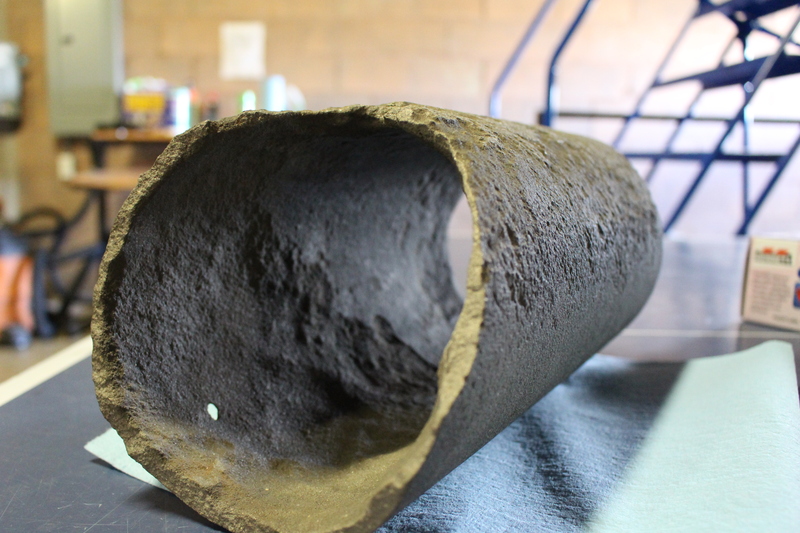 While most of the WSSC’s assets are made of cast iron, ductile iron is now the pipe of choice despite being thinner and typically more susceptible to corrosion, according to Gumm. To counteract this, the utility also developed a program to ward off corrosion, enabling it to place more of the new ductile iron pipes. Pfeifer says even the cast iron inventory varies, identifying at least four different versions with different properties, meaning the utility will need to get about 300 to 400 good samples of each category in order to have a valid statistical sample. 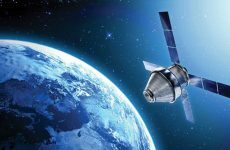 “So that’s kind of what we’re working toward, and it will likely be a decade-long project,” Pfeifer says. The proactive condition assessment program also reflects the WSSC’s larger asset management goals when it comes to maintaining its system in an efficient way that is financially sustainable. This article was contributed to Water Finance & Management by Echologics. For more information on Echologics or its condition assessment program with WSSC, please contact Mike Stadnyckyj at mstadnyckyj@echologics.com.